« It’s 5K time again…. 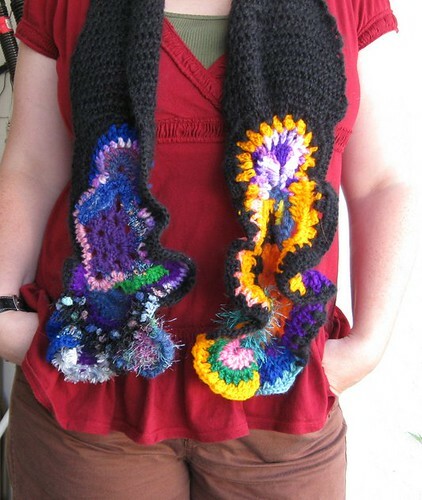 Freeform crochet scarf, originally uploaded by pennylrichardsca. This entry was posted on August 20, 2008 at 4:48 am and is filed under Uncategorized. You can follow any responses to this entry through the RSS 2.0 feed. You can leave a response, or trackback from your own site. You’ve got some of the coolest stuff in your wardrobe! And how fun is it that you can say you made some of it yourself? !